The Wisconsin Head Start Association (WHSA) is made up of 39 grantees providing Head start and Early Head Start services to families throughout Wisconsin for the last 50 years. 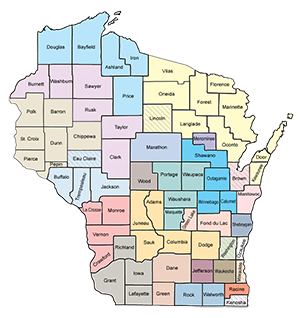 We serve all of Wisconsin’s 72 counties and interact with 424 school districts serving our state’s children, and provide comprehensive services for over 16,000 of Wisconsin’s youngest and most vulnerable citizens. WHSA is made up of directors, staff, and parents of Head Start, Early Head Start, Migrant and Seasonal Head Start and Native American Early Head Start and Head Start programs in Wisconsin. Our purpose is to gather and disseminate information about Head Start, provide assistance to state, regional and national Head Start agencies and organizations, to advocate and carry out activities that support educational goals for children. WHSA is a non-profit, tax exempt organization filed with the State of Wisconsin. WHSA is involved in numerous projects funded by a variety of grants and donors. The current projects are listed under the “our work” tab. WHSA is a member of the Region V area designated by the Office of Head Start. Region V is made up of Wisconsin, Minnesota, Ohio, Illinois, Michigan and Indiana. WHSA represents the Wisconsin grantees on both the Region V Board and the National Head Start Association. A Board of Directors governs the work of the Association, and employs the Executive Director who carries out the wishes of the Association while maintaining fiduciary responsibilities for the Board. WHSA mission statement: Support and strengthen Head Start and Early Head Start programs for the benefit of children, families, and communities through advocacy, professional development and strategic alliances. Completed in 2017, Focus 2020 provides a 3-year strategic plan guiding the association with strategic focuses, priority initiatives and long-term future investments. Read about the Strategic Plan -Focus 2020 here. Each federally recognized Wisconsin Head Start and Early Head Start grantee and delegate agency is entitled to be a member with representation on the three affiliates with payment of annual dues determined by the Board of Directors. The representation is critical to the leadership and direction of WHSA. Having all members represented in decision making processes ensures the direction of policy work is meaningful to all. Director Affiliate: One person with primary responsibility for directing the member’s program. Staff Affiliate: One person currently employed in a Head Start staff position in a member program. Parent Affiliate: One person enrolled in the current or immediate past year as a parent in a member program. Each member program sends affiliate representatives to the quarterly meetings guiding the direction and work of the state association. Within each of the three affiliate groups, leaders are voted to a 2 year term. The Affiliate leaders make up the Board of Directors who votes on the strategic direction makes decisions based on the by-laws. WHSA holds an annual meeting in January of each year, with quarterly meetings held in the fall, winter, and spring where the business of the Association is conducted. A representative of each affiliate is selected through a vote to represent the state of Wisconsin on the Region V Board.